Threespine stickleback fish are somewhat unusual parents in the fish world - it's the fathers that take care of their young, not the mothers. It turns out that the males also have comparatively larger brains than the females, a team of Canadian biologists report. Researchers at the University of British Columbia compared the brains and behaviors of the male common sticklebacks to those of white sticklebacks, a closely related species that doesn't have the same paternal instincts. The white stickleback brains, it turns out, are smaller than the common sticklebacks - and the scientists believe this is linked to the difference in the way they raise babies. "This suggests that regular sticklebacks have bigger brains to handle the brain power needed to care for and protect their young," says Kieran Samuk, a zoology graduate student and an author of the study. It's important to bear in mind that, when it comes to intelligence, brain size isn't everything. There's little to learn from looking simply at the volume of a brain, neuroscientist Seth Grant tells Scientific American. "It's clear now that there are wonderful mental abilities in birds even with their relatively small brains, nerve cells and neural connections," he says. 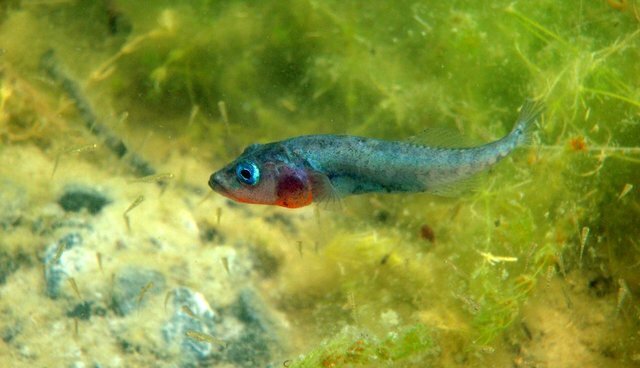 The authors of the stickleback study are careful to qualify their discovery: "We do not yet have definitive evidence that parental care behavior per se requires a larger brain or that natural selection shapes the evolution of brain size because of its connection to parental care." But, given the extra tasks a successful male stickleback needs to perform - courting a female, erecting a nest and caring for kids - the scientists are inclined to think an engaged brain helps.